Molecular docking techniques are widely used in computational drug discovery. Most of these techniques simulate the way that a ligand interacts with a protein target focusing on one binding site. Blind docking is a recent technique which is designed to search the entire surface of the protein to discover new interesting binding sites. Unfortunately, this new docking method is computationally more intensive since its complexity grows exponentially according to the number of binding sites, which severely limits its utilization in practice. This paper shows a road-map for an efficient parallelization of the calculation of the solvation energy which represents the most time-consuming part of the scoring function. The latter constitutes a bottleneck in both simple and blind docking. The proposed parallelization approach aims to efficiently exploit the large computing power offered by the latest NVIDIA GPU architectures. Toward this goal, we propose a new parallel approach that exploits the Hyper-Q capability to compute several GPU kernels simultaneously, thereby speedingup the computation process and maximizing the GPU utilization. The obtained results show the huge benefit of exploiting the latest GPU architectures as compared to serial and parallel CPU approaches. Indeed, for 100 binding sites, our results show an average speedup of 186\(\times\) as compared to the serial implementation, and 10\(\times\) as compared to the multi-core CPU version. Moreover, an experimental comparison shows the superiority of our approach over the state of the art. Scoring function: A function used to approximately predict the binding affinity between two molecules when docking to each other. This work was partially supported by the Fundacin Séneca del Centro de Coordinación de la Investigación de la Región de Murcia under Projects 20988/PI/18, 20813/PI/18 and 20524/PDC/18, and by the grants from the Spanish Ministry of Economy and Competitiveness (TIN2016-80565-R and CTQ2017-87974-R). 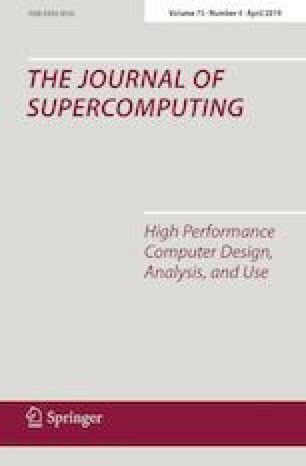 The authors thankfully acknowledge the computer resources at CTE-POWER and the technical support provided by Barcelona Supercomputing Center - Centro Nacional de Supercomputación (RES-BCV-2018-3-0008).